The U.S. commercial building infrastructure needs upgrades so aging building assets continue to maintain their value. Over 80% of commercial buildings and 66% of commercial building square footage are more than 20 years old. Older buildings often lack the amenities of modern buildings and, as a result, have a lower value in the rental and real estate markets. As an owner or property manager of this type of building stock, you may be considering energy efficiency retrofits and wonder what approach is best for your building and its occupants. Somewhat younger buildings constructed in the last 20 years are more likely to provide higher levels of fresh air (ventilation) and have more sophisticated heating, ventilation and air conditioning (HVAC) systems, including centralized digital controls. 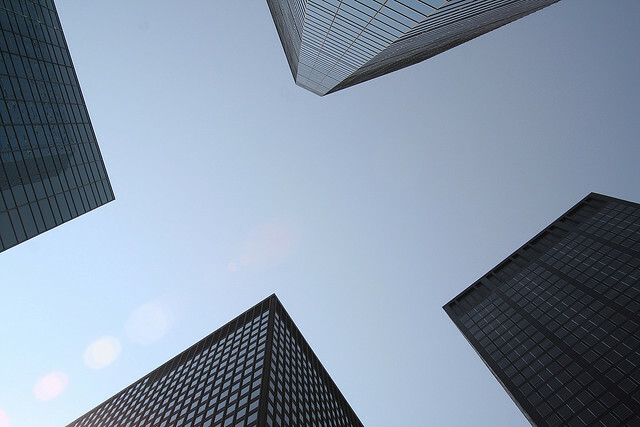 If you own some of this building stock, you may think the buildings are reasonably efficient, but you may be having other issues such as comfort complaints or high maintenance costs. Reliability – As equipment ages, it breaks more frequently, making it less dependable. New equipment that has been commissioned significantly improves the reliability of key building systems. Operation and maintenance headaches – More downtime and more issues with older equipment means your onsite staff, property management team and service technicians must devote increasing amounts of resources – both time and money – to keeping the aging equipment on line as well as responding to complaints from building occupants when services are down. Failure – Replace on failure is a common scenario. When a major piece of equipment such as chiller or boiler fail, it is often in the peak of the cooling or heating season. This is because the equipment is working hardest when fully loaded and this often pushes a failing piece of equipment over the edge. Replace on failure is the worst scenario for the building operator/owner because it does not allow planning for an upgrade that could increase the level of amenity to building occupants and have lower operating costs than the off the shelf equipment. Good HVAC equipment, designed well and implemented correctly, can increase staff productivity as much as 5%. Replace on failure completely misses this opportunity. At this point you may be wondering, "Okay, so what does retrocommissioning have to do with all of this?" Retrocommissioning can provide you with a high-level assessment of your equipment and help you, as an owner, plan for replacements and upgrades that will fit in your budget and deliver long-term benefits, increasing the value of your building assets. In addition, retrocommissioning is a great way to diagnose and improve comfort problems and it can help extend equipment life by reducing load on older equipment that isn’t quite at the replacement stage. What are the highest priorities for upgrades, what potential benefits can I gain with a more comprehensive upgrade and what is the planning horizon and order of magnitude investment required to gain those benefits? 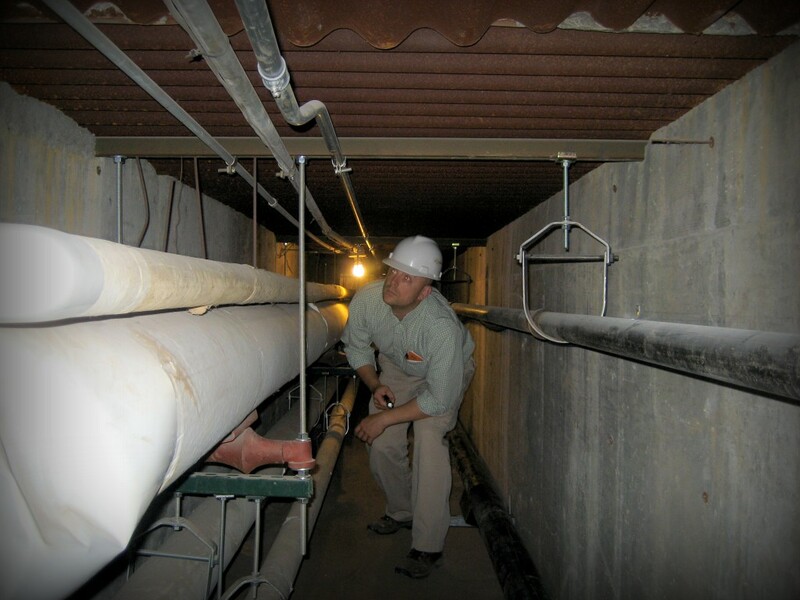 A Cx Associates commissioning agent inspects piping. Are there comfort problems that you want to address? Are you concerned by rising maintenance costs? Is equipment heavily loaded and/or have operators or maintenance technicians told you that equipment is out of capacity and you need to buy a new unit to augment capacity? Does the building have a centralized control system? Is your building over 50,000 square feet? If you answer yes to at least three of these questions, your building is a good candidate for retrocommissioning. See my earlier blog posts on the retrocommissioning process and contact us if you are interested in learning more about retrocommissioning opportunities. Republished from March 25, 2015.